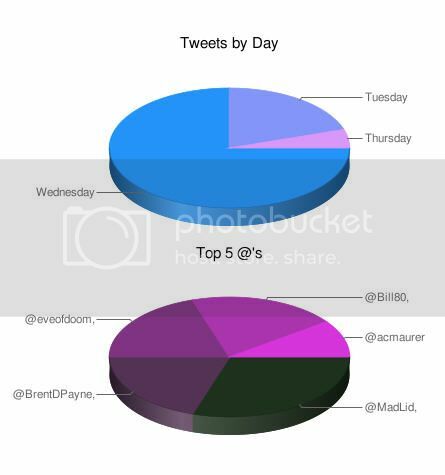 TwitGraph: It represents your Twitter activities in the form of a pie chart. TweetStats: Colorful bar graphs of Twitter stats. Twitter Stats: Line chats and bar charts showing your Twitter stats.